I think it’s safe to say that those who have not experienced the death of the child can understand, on some level, that it is a huge, incomprehensible loss. I’m not sure anyone outside the “club no one wants to join” – the “club” of parents whose children have died – can truly understand the impact of such loss, though. I would never wish that understanding on anyone, because that would mean they would have to walk this horrible walk of grief. But, I also think it is safe to say that there is even less understanding regarding secondary losses following the death of a child. Before Jason died, I never could have imagined the walk we have had to walk. It’s been a rough one, and saying that is an understatement. Jason’s death has affected our family in so many ways. Our lives were shattered when Jason died. And then it seemed like so many other things have broken off and shattered, too, along the way. Friendships. Income. Loss of identity. So many additional losses. Secondary losses. I think the whole secondary loss thing caught me by surprise. These additional losses were really hard to process. Friends who disappeared. People who avoided us. Questioning my faith. Too many losses to count. I’ve written about some of these secondary losses over the years. It’s difficult to understand how someone who has suffered such a huge loss would continue to have additional losses piled on top. Losses on top of more losses. It’s hard to comprehend and process so much loss. The secondary losses make the load of grief even heavier to bear. I recently read a good article that talks about secondary losses. The author explains that secondary losses are a result of the primary loss. 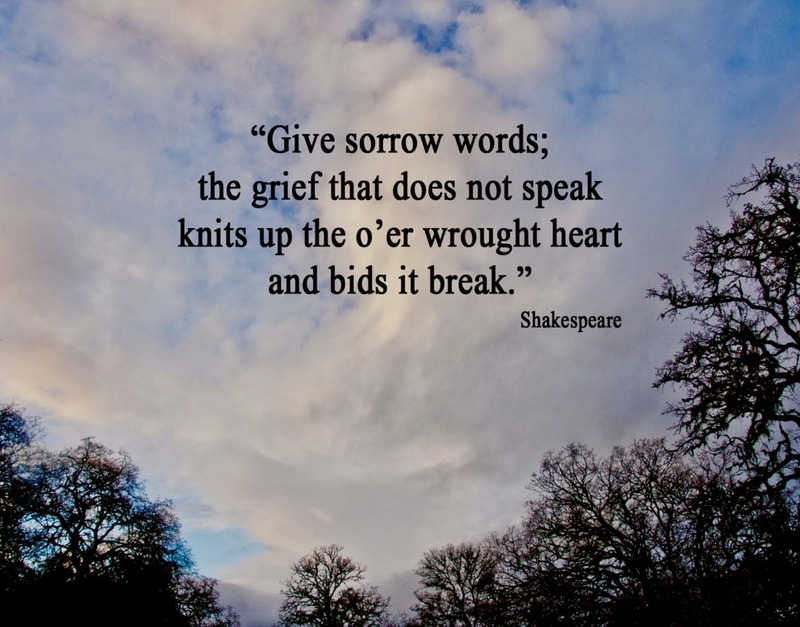 Our grief encompasses both the primary loss AND the secondary losses. The secondary losses are precipitated by the primary loss (the death of our child), but they become a part of our overall grief. The author writes, “Though it is easy to think that our grief is solely the grief of losing the person we cared for so deeply, our grief is also the pain of the other losses that were a result of the death.” One grief, many parts. Yes, I grieve Jason’s death. His death is the big, huge hole in our lives and is the main reason for my grief. But his death also created other losses that I grieve. I miss friends I used to have. I miss our home. I miss the feeling of security. Had Jason not died, I would not have experienced these and many more losses. All of these secondary losses are interconnected to the primary loss to some degree. I’m not sure I agree completely with this particular concept that we can build a self-awareness in order to be better prepared for secondary losses, especially right after the death of a child. And I’m not sure why there would be a reason to anticipate we would want to prepare for such losses if we didn’t know our child was going to die. Perhaps this would help in the event of a terminally ill child, but, wouldn’t the parent be dealing with enough anyway? I don’t know. Sometimes there’s just no way to prepare for certain things. But, I still think she has some good things to say about understanding and identifying secondary losses. I also think it’s important to understand that the primary loss of the death of a child can create secondary losses. Those secondary losses may be immediate or the may happen over time. For example, our loss of friendships was more or less immediate. Another mother told me that she had great support after the death of her daughter, but then nearly all of her friends disappeared over time as they got tired of hearing about her grief and felt like she was not “getting over it” quickly enough. No one will experience the same grief or the same losses, whether primary or secondary. I hope you will take time to read the article: Secondary Loss – one loss isn’t enough??!! As always, I appreciate your input.